Question: Nan zafè telefòn Mobile ak Internet Access, ki companie ou panse ki bay pi bon sèvis en Haiti? NATCOM oswa DIGICEL? 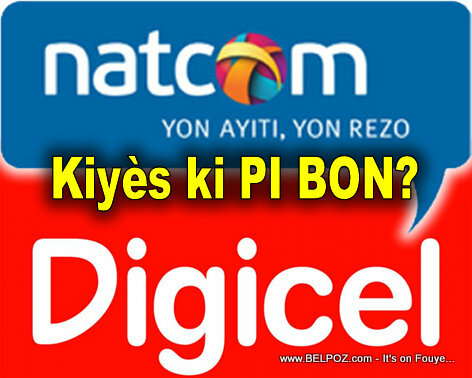 natcom is betther than digicel. DIGICEL IS BAD BAD AND KEEP STELING POEPLE MONEY. Natcom has good 3G service in Jeremie, as long as their fiber line through Cayes isn't cut. Otherwise they fail-over to a slower wireless link. Natcom is way better, plain and simple. Is anybody getting stable 3G/4G internet access on a Digicel Jump these days? Sim koute Intenet Haiti a m'ap fè Suk epi m'ap fè tansion.